Virginia Woolf never had any formal college education. Or so the story goes. A recent discovery in the King’s College archives, however, tells a different tale than the one told by biographers and Woolf herself. The discovery shows course descriptions, exam pass lists and registrations for Vanessa and Virginia Stephen at King’s College Ladies’ Department, 13 Kensington Square, between 1897 and 1901. In 1871 King’s College London began lectures and classes to meet women’s needs for higher education. In 1885, this became a department at the college known as the Ladies’ Department. In 1900 students began preparing for internal degrees. As a result, the Ladies’ Department became known as the Women’s Department in 1902, after Woolf stopped attending classes. From the age of 15 to 19, Woolf took classes in continental and English history, beginning and advanced Greek, intermediate Latin and German grammar at the King’s College Ladies’ Department. She also had private tutors in German, Greek and Latin. One of them was Clara Pater, sister of critic and essayist Walter Pater. Her sister, artist Vanessa Stephen, studied Latin, art and architecture between 1899 and 1901, records show. While at King’s, Woolf reached examination level standards in some of the subjects she studied and took Greek from George Charles Winter Warr, one of the foremost Greek scholars of his day. She also came into contact with some of the leading reformers of education for women, according to Christine Kenyon Jones and Anna Snaith, who discovered Woolf’s King’s College records. You can read about their discovery in the Kings College Report, Number 17 (2009). The report of their findings is titled “A Castle of One’s Own.” It appears on pages 28 to 33 in that issue. Edward L. Bishop’s transcription of Jacob’s Room, The Holograph Draft. 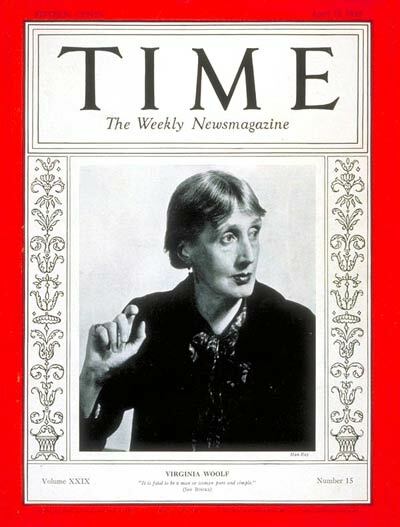 Women in the Milieu of Leonard & Virginia Woolf: Peace, Politics, and Education ed. Wayne Chapman and Janet Manson. For more about books related to Woolf and the Bloomsbury Group, visit the Books page on Blogging Woolf.